Many historic attractions can be explored as part of free self-guided tours or island walking tours, with brochures and audio tour information provided by several local historical societies. 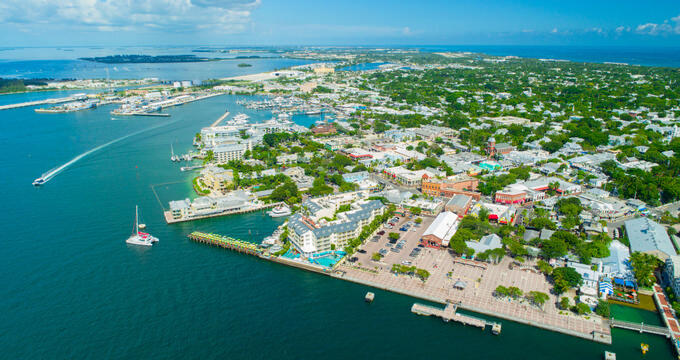 For low-cost transportation throughout the island, the City of Key West offers public bus transit services to many top tourist attractions and visitor destinations. Some attractions are free only on certain days – please check before you go. 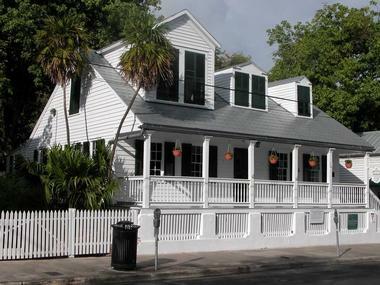 The Oldest House Museum preserves the oldest known home structure on Key West, originally constructed in 1829 by Bahamas immigrant Richard Cussans and best known as the 19th-century residence of Captain Francis B. Watlington and his family. Since 1974, it has been preserved as a living history home museum by the Old Island Restoration Foundation, open to the public for free self-guided tours between 10:00am and 4:00pm every day except Wednesday and Sunday. Visitors are welcome to explore the main home, the kitchen house, and the exhibit pavilion and its surrounding gardens. Docents are available at the site during operating hours to provide visitors with historical information about the home. The home also displays collections of significant maritime artifacts and a collection of artworks by famed Key West folk art wood carver Mario Sanchez. 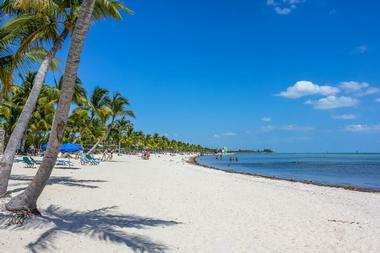 Smathers Beach is Key West's largest public beach, spanning approximately one half mile along the island's southern end at the Atlantic Ocean. It is accessible from State Road A1A at mile marker zero, approximately a mile from the island's city center, and is a favorite spot for tourists and local residents alike throughout the year. The beautiful coconut-tree-lined beach offers ample visitor amenities, including public restrooms, day-use volleyball courts, chair and umbrella rentals, and local food trucks parked on site periodically. Visitors are also welcome to bring their own chairs, umbrellas, and food and beverages for an entirely free lounging experience. The beach is open to the public seven days a week, accessible between 7:00am and 11:00pm. Key West Wildlife Center is a rehabilitative animal shelter and care facility located within the island's seven-acre Sonny McCoy Indigenous Park, open to the public for free Thursdays through Tuesdays during normal business hours. The state and federally-permitted wildlife rehabilitation center accepts native wildlife on an ongoing basis, with a clinic on site to provide treatment to sick and injured animals, including special programs for sea turtle and tortoise rehabilitation. A nature trail is offered for visitor exploration and observation of animals and migratory birds, featuring a freshwater pond and two aviary facilities. Picnic tables are available, along with a covered pavilion area. Visitors should note that although the attraction is free to enter, suggested donations are strongly recommended to help fund ongoing rehabilitation operations. The Florida Keys Eco-Discovery Center is Key West's premiere natural history museum, showcasing exhibits documenting the native flora and fauna of the South Florida region. The 6,000-square-foot center offers free admission Tuesdays through Saturdays during normal business hours, with the exception of major national holidays. Interactive exhibits include a replica of Atlantis, the only underwater ocean laboratory in the world, as well as a 2,500-gallon reef tank and reef cam at the Mote Marine Laboratory Living Reef exhibit. 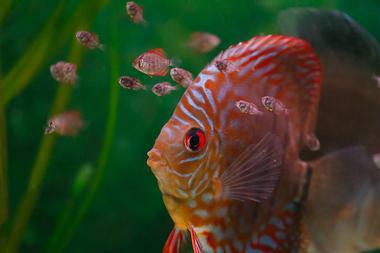 A short documentary film, "Reflections of the Florida Keys," is showcased at the Center periodically throughout the day. Other exhibits detail the Keys' ecology, including reconstructions of pineland, hardwood hammock, beach dune, mangrove shoreline, and seagrass flats ecosystems. Mallory Square Sunset Celebration is a nightly festival hosted at Key West's Mallory Square Dock, showcasing a wide variety of street performers, arts and crafts vendors, magicians, psychics, and other dockside attractions and entertainers. The celebration begins nightly two hours before sunset and invites visitors to watch beautiful glowing sunsets over the Gulf of Mexico. It has been acclaimed and immortalized throughout the 19th and 20th century by iconic cultural figures such as Mark Twain and Tennessee Williams, known as one of the world's top ongoing nightly cultural celebrations. Food vendors are also hosted on site throughout the event, with ample public seating for relaxation and water views. 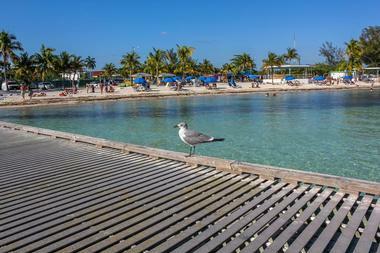 Higgs Beach is one of Key West's most-visited waterfront regions, located on 16 acres of beachfront land along the island's Atlantic Ocean coast. The free-admission beach is a favorite site among local residents, offering access to the United States' only shoreline-accessible underwater marine park. Snorkeling is a popular activity along the beach's waterfront, along with kayaking in deeper-water areas. Visitors are welcome to bring their own beach chairs and umbrellas or rent from the beach's public rental facility. Other visitor amenities include a children's playground, a dog park, and tennis and beach volleyball courts. Nearby at Higgs Beach Park, memorials pay tribute to the region's African refugees from the transatlantic slave trade and to 20th-century AIDS victims. Free self-guided tours of the beach's Civil War-era are also available. 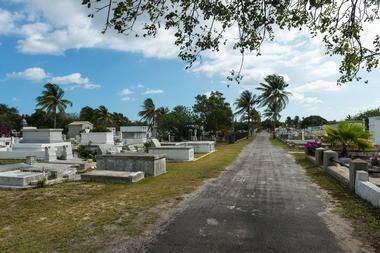 Key West Cemetery serves as the final resting place of as many as 100,000 of the island's former residents, nearly three times the island's current population. The 19-acre cemetery is located at the edge of Solares Hill, originally established in 1847 following a severe hurricane that washed away the island's former cemetery site. Visitors can explore the cemetery for free between dawn and dusk, which is home to significant monuments and memorials such as the USS Maine monument, which honors the victims of the 1898 harbor tragedy. An African Memorial Cemetery also honors fallen African slaves who died on transatlantic slave trade voyages. Self-guided walking tour brochures are available, detailing the history and significance of cemetery monuments and landmarks. Fantasy Fest is an annual Key West street party held each year during the last week of October, originally founded in 1979 by island residents Joe Liszka, Frank Romano, Tony Falcone, and Bill Conkle. Today, more than 100,000 annual visitors attend the impressive festival, which has drawn comparisons to New Orleans' iconic Mardi Gras celebration and Rio de Janeiro's annual Carnival. The 10-day celebration includes an annual parade, which showcases humorous and whimsical floats and a Conch King and Queen elected each year as part of AIDS fundraising efforts. Costume parties, drag queen contests, and body paint abound, along with special events such as an American Idol-style singing competition and a raucous bingo event. 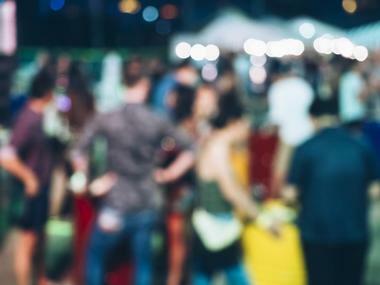 Visitors should note that while some individual events are family-friendly, most of the celebration is adult-oriented, with ample alcohol served throughout the event. 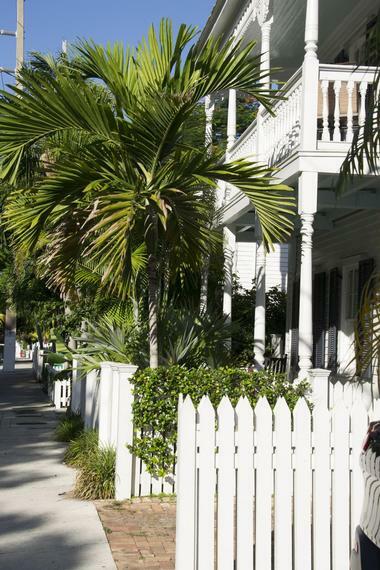 Key West Historic Marker Tour is a self-guided cell phone and GPS walking tour throughout some of the island's most historic buildings and landmarks, accessible for free and available in multiple languages. Historic markers and plaques have been placed at more than 50 locations throughout the island, detailing a brief history of the site's cultural and historic significance. Visitors may download additional audio history about each site via smartphone or dial a toll-free phone number to hear more about each site. Each site's audio dialogue is designed using personal oral histories and memories of island citizens, striving to connect the island's local community with the international community and engage visitors in global dialogue. 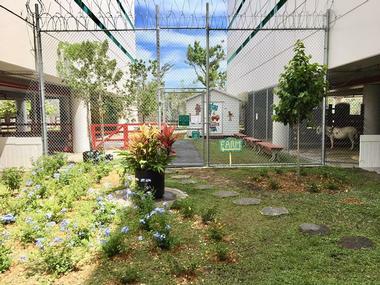 Sheriff's Animal Farm was opened in 1994 as a refuge for homeless animals on Key West, located in an open area underneath the grounds of the Monroe County Sheriff's Office Stock Island Detention Center, which is constructed on stilts as a means of hurricane defense. The farm has grown from housing small populations of Muscovy ducks and chickens that were recovered from extermination at a nearby golf course and today houses both traditional domestic farm animals and exotic animals that have been recovered from abusive habitats or donated to the facility. Animals showcasing include miniature horses, pigs, and goats, along with exotic alpacas, lemurs, pythons, peacocks, sloths, and kinkajou. The farm is open to the public for free the second and fourth Sundays of each month during the afternoon hours, with guided visitor tours available for small groups and organizations with advance reservation. As the farm is a nonprofit endeavor, donations to ensure future operations are greatly appreciated. 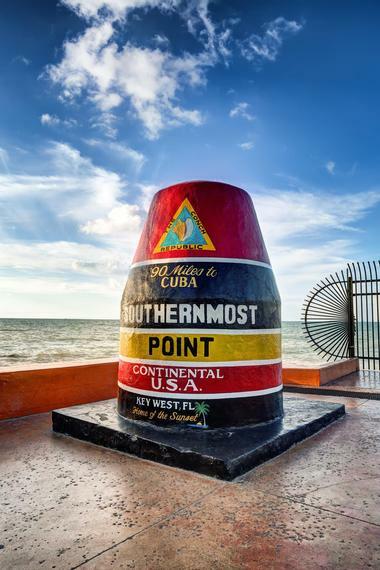 The Southernmost Point is a public monument commemorating the disputed southernmost point in the continental United States, marked by an anchored concrete buoy that is maintained by the Public Works Department of Key West. The buoy was originally dedicated in September of 1983 as a public monument and stands 12 feet tall, located at 18 feet above sea level at the intersection of Whitehead and South Streets. It is one of the most-photographed monuments in the United States, serving as a popular gathering place for area tourists. From the buoy site, Cuba lies approximately 90 miles directly south. 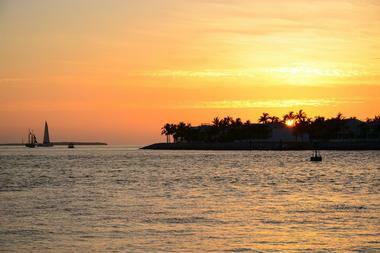 Though the site is commemorated as a major tourist attraction, two sites within the Florida Keys are believed to lie at lower latitudes, including the island of Ballast Key and a private site on the US Navy Truman Annex property. 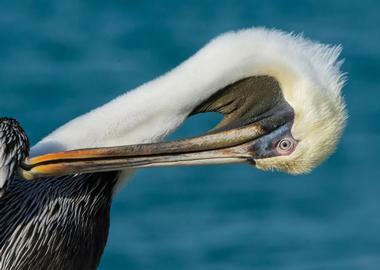 The Pelican Path Self-Guided Tour of Key West showcases more than 50 of Key West's most historic homes and buildings, accessible for free on foot using a path map or brochure. 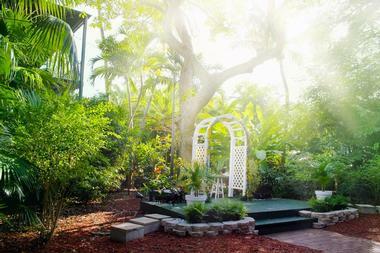 The path was developed by the Old Island Restoration Foundation and showcases the island's beautiful historic architecture at sites such as its Saint Paul's Episcopal Church, Key West Cemetery, and Wrecker's Museum at the Oldest House in South Florida. Information is provided about each site's construction, restoration, and cultural significance, with some sites open to the public during certain hours for self-guided exploration. Many photo opportunities are also offered throughout the walk for visitors. 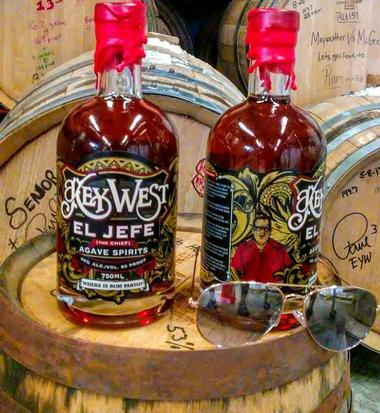 First Legal Rum Distillery Tour offers visitors a behind-the-scenes look at the operations of Key West First Legal Rum Distillery, which produces Chef Distilled original white rums infused with Florida sugar cane and flavors such as vanilla creme brulee and Key lime. Free tours of the distillery's factory are offered three times daily Mondays through Fridays and twice daily on Saturdays, outlining the distillery's rum production, bottling, and distribution process. Tastings are offered as part of tours, including homemade soda tastings for tour participants under the age of 21. The distillery also hosts free mojito classes on Mondays, Wednesdays, Fridays, and Saturdays, showcasing traditional cocktail crafting practices from Cuba. 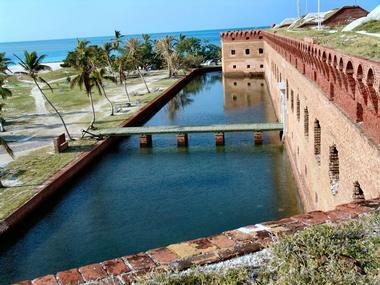 Dry Tortugas Interpretive Center is a free visitor center and museum located in the National Register of Historic Places-listed Thompson Fish House within Key West's Historic Seaport, commonly known as "The Bight." Interactive exhibits at the museum showcase the island's nautical heritage and the history of Dry Tortugas National Park, including an 11-foot-diameter scale replica of Fort Jefferson and exhibits related to the fort's most famous prisoner, Dr. Samuel Mudd, known as a co-conspirator to the Lincoln assassination and later as a hero of the yellow fever epidemic. Other exhibits include a 30-foot interactive photo mural detailing the history of the Bight and a Junior Ranger exploration station, which offers hands-on family-friendly activities and interactive drawers.